Welcome to your weekly InnovaBuzz Newsletter - a roundup of what's new in Website Development, Internet Marketing, Content Marketing and Innovation. In this episode, my guest is Phil Singleton, co-author of SEO for Growth, an active blogger, a Duct Tape marketing consultant, and owner of his own web design agency, Kansas City Web Design and SEO. Phil talks to me about SEO in the ever-changing world of the Google Algorithm, a smart approach to SEO by taking a wholistic view and a content marketing approach that serves your audience. Listen to the podcast to learn about the secrets to SEO for Growth in your business. A lead magnet is usually a free offer that gives website visitors something of value in exchange for their contact information. This encourages your visitors to come back and, in turn, it gives your business more knowledge about their interests as well as their email address. 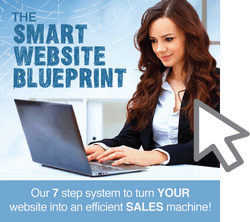 Lead magnets can also be used to encourage visitors further along the marketing funnel. You’ll be able to further influence them into buying your products or using your service through email marketing. Not only can you turn your leads into customers, you can also turn them into repeat customers. Read the 11 unique lead magnet ideas that will work in any industry. Most people absolutely hate selling, and for good reason...Yet selling is essential to business, business is essential to making money, and money is essential to life. So the question is, how can you sell more without bothering people and being “salesy”? The truth is, there are plenty of great companies that don’t rely on sleazy sales tactics to grow. Instead, they learn how to use storytelling to their advantage. Storytelling allows businesses to build loyalty and trust while also selling stuff at the same time. Storytelling gives you an open door and a line of connection between you and your potential customers. Best of all, storytelling eliminates the need for spammy marketing tactics and heavy discounts. So if that’s you and you’re ready to build more loyalty and trust, and your customer base at the same time, you might want to consider embracing storytelling with both arms. Here are five places you can start using storytelling in your marketing right now. 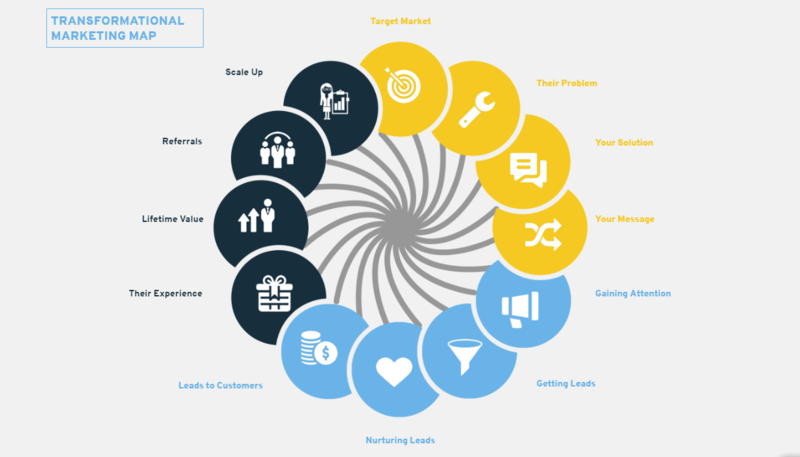 The One Page Transformational Marketing Map guides you through a comprehensive 12 step process explaining each step in detail and showing you a systematic way to grow your business. This marketing journey is the exact process that we use at Innovabiz for our own marketing and also in our work with clients to deliver exceptional results! In fact, one or our clients recently reported an increase in annual net profit of 47% as a result of working with us and implementing this process! You can get the Transformational Marketing Journey via the link on our home page. Please join our community of awesome Marketing Transformers on Facebook and share your transformational journey with like-minded business owners. You know what one of the biggest challenges is when it comes to client acquisition for "expert" service professionals? Organizing your services in a way that allows prospects to easily understand and buy your stuff! In other words, as a coach, consultant, speaker, accountant, chiropractor or other "expert" service professional, we usually know so much stuff that it can sometimes be problematic for prospects trying to figure out how to best work with us. However, when you organize your service offerings in a way that's more intuitive for the prospective buyer, you actually make it easier for people to buy because they quickly understand what you do, and how they can plug into that service. Read the article to know what the author says on how you can increase the number of your clients. The following excerpt is from Dan S. Kennedy and Dustin Mathews’ book No B.S. Guide to Powerful Presentations. If you have a powerful presentation, and you have the right mindset about it, yourself and your audience, and you have the right delivery, you win every time. Learn from the experts on how to deliver presentations that grab your audience's attention. Despite a large amount of negativity around offshoring software development, Paul Taylor - a change consultant - outlines a simple three step process to allow firms to successfully offshore software development. This article explores some practical ways in which you can ensure you make the right decisions when starting an offshoring project. Learn more. There is so much fantastic information that guests in my podcast have contributed over the time we've been conducting the interviews, so we thought that it would be good to revisit some of that awesome content. 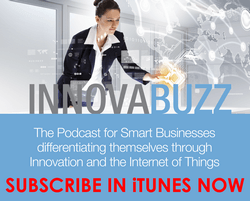 In this episode number 44 of the InnovaBuzz podcast, Marcus Sheridan of The Sales Lion and of course, star of the River Pools story talks about content marketing, but primarily about the key principle of solving your customers’ problems by educating them. This is an enduring marketing strategy that has worked for a long time, even before the internet and will endure for much longer. Listen to the podcast to find out more. Remember to BE AWESOME and KEEP INNOVATING! To make sure you keep getting these emails, please add innovabuzz@innovabiz.com.au to your address book or whitelist us. Want out of the loop? Unsubscribe.